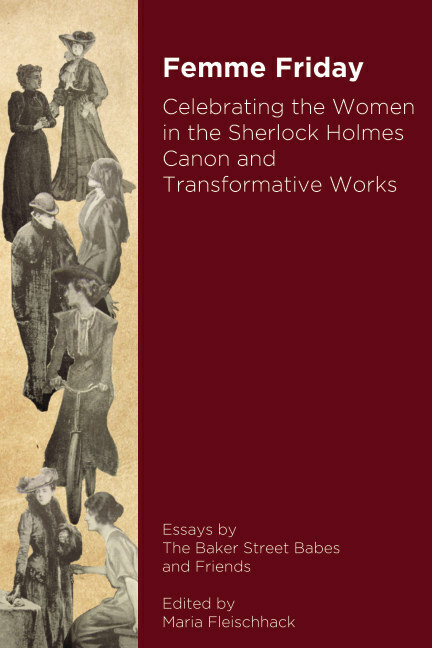 This volume is a collection of essays on the women in the Sherlock Holmes stories as well as in adaptations and pastiches. It consists partly of the Baker Street Babes’ contributions to our tumblr series Femme Friday, as well as essays written after we posted a call for contributions on our social media. We tried to include as many ladies as possible, though we are aware that we missed the likes of Mrs. Cushing from “The Cardboard Box,” Nancy Barclay from “The Crooked Man,” Emilia Lucca from “The Red Circle” as well as the ladies from “The Greek Interpreter" and “The Retired Colourman", and probably a few others. However, we have assembled quite the collection of essays on awesome ladies, so we beg forgiveness from the fantastic ladies we did not manage to include. This version has some colour illustrations. Please see ISBN 9781389563188 for a version of the book with black and white prints.